This site is currently being updated and edited so please keep coming back to check on our progress. We are looking to make this site a useful collection of articles and information for people that are like minded to enjoy. Do you usually beat yourself up whenever you give in to cravings or binge? Well, it may not be your fault. Some nutrient deficiencies increase our appetite and cravings. And they’ll make you binge no matter how much willpower you have. Once you get enough of these nutrients the cravings will disappear. You may even need to supplement if you can’t get enough of these nutrients from your diet. Below are 6 nutrient deficiencies that increase appetite and cravings. Research shows that these vitamins play an important role managing stress and depression. In short, they make you feel good and control your mood. When you don’t get enough B-vitamins you’re likely to be stressed. And stress will make you crave junk food and overeat. You can get B-vitamins from egg yolks, potatoes, avocados, chicken, meats, dark leafy greens and salmon. According to research, magnesium deficiency may trigger chocolate cravings. Note that consuming too much sugar and stress can lower magnesium levels in the body. It’s highly likely you have calcium deficiency if you have magnesium deficiency. Calcium deficiency usually triggers sugar and salt cravings. Other than dairy, you can get calcium from kale, almonds, salmon, sardines, chia seeds and sesame. Women usually crave meat during PMS due to low levels of iron. Vegetarians and vegans may also have iron cravings. Best sources for iron include, meat, poultry, cashews, dried fruits, legumes and pumpkin seeds. Lack of enough omega 3s in the body triggers cravings for different foods. If you always have unexplained cravings, omega 3s may be the reason. You can get omega 3s from wild caught fish, eggs from pastured chicken, flaxseeds, walnuts and so on. Zinc deficiency is common in older folks and people under a lot of stress. Lack of zinc may not increase cravings but it’ll affect your sense of taste so you’ll be forced to add more salt and sugar to your food. Get zinc from oysters, nuts, eggs, and green peas. 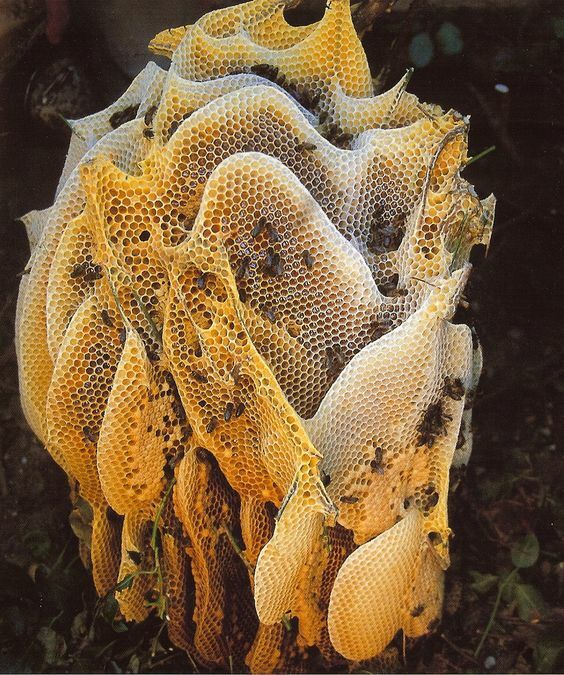 Wild bee honeycombs are constructed from hanging galleries of hexagonal wax cells. The outer drapes are most often used for honey storage whereas the internal hangings are more often used to rear the young bees. This beautiful natural wax comb was hand-harvested in Indonesia at the price of a few defensive stings. Honey is formulated from worker bee saliva and plant nectar which used as food storage for the hive. Humans have an exceptionally long history of harvesting honey and later in developing hive systems to ease in the cultivation of this highly treasured substance.